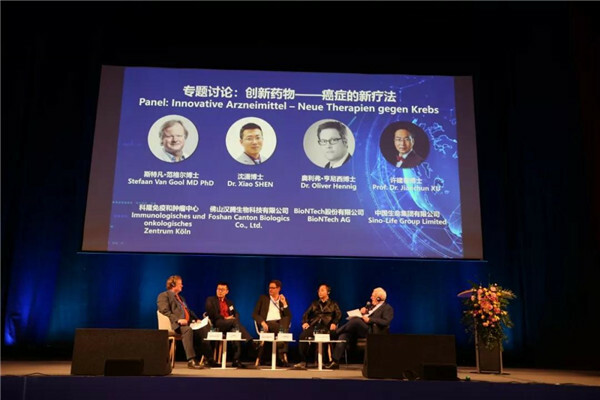 On April 2, German local time, the "Global Roadshow-Discover Foshan" and the 1st Sino-German Health Conference was held in Mainz, Germany. This is the first global roadshow themed with “Discover Foshan”. With the theme of bio-medicine, the conference aims to promote its investment environment and seek cooperation opportunities. At the conference, Zhao Hai, Vice Mayor of Foshan promotes Sanlong Bay High-end Innovation Agglomeration Area to the world for the first time. The activity "Global Roadshow-Discover Foshan" also includes the first Sino-German Health Conference. Many experts, scholars and entrepreneurs from China and Germany in the fields of bio-medicine, medical devices, health management and etc. gather at the conference, which builds an important bridge for the cooperation between Foshan and German health industries. 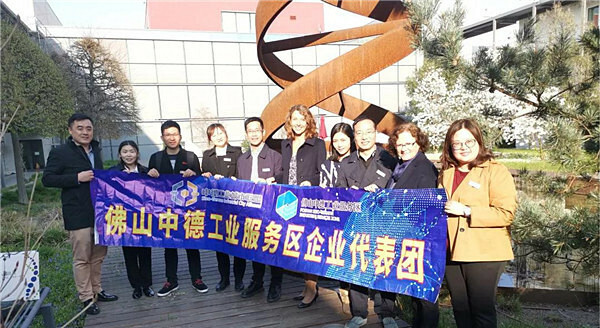 "We are honored that Mainz could be the first station of the "Global Roadshow-Discover Foshan". Michaelle Eberlin, Mayor of Mainz, said Mainz is a famous wine capital with numerous historic buildings and sites with a history of more than 2,000 years. Bio-medicine and Comprehensive Health industries are the leading industries of Mainz, and they form industrial agglomeration areas with surrounding areas. Zhai Hai said, like Mainz, Foshan is also a city of profound history and culture, and it’s a capital of gourmet as well. Foshan is the famous hometown of traditional Chinese medicine, and the location of the headquarters of modern traditional Chinese medicine of China National Pharmaceutical Group. The advantage in the field of traditional Chinese medicine industry is obvious, so the bio-pharmaceutical industry is one of the pillar industries of Foshan. This was why Foshan chose Mainz as the first stop of the road show. Foshan Sanlong Bay High-end Innovation Agglomeration Area was promoted to the world for the first time. Zhao Hai expressed, Sanlong Bay is a brand-new strategic platform for Foshan to integrate into the Guangdong-Hong Kong-Macao Greater Bay Area. As the core of Foshan First Ring Road Innovation Circle, Sanlong Bay High-end Innovation Agglomeration Area will bear the important task of absorbing innovation resources.